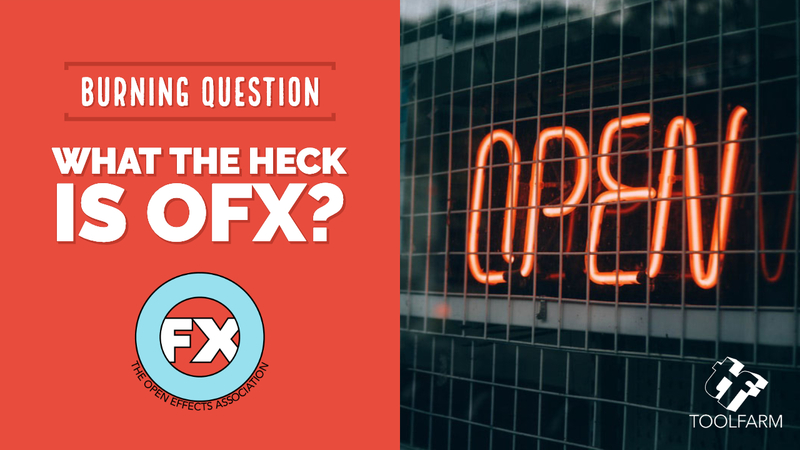 OpenFX, or OFX, is a standardized software interface between the host and plug-ins for visual effects, editing, compositing, and finishing. It is now widely used for visual effects and video processing and is supported by numerous hosts such as Assimilate, Blackmagic Design, Digital Anarchy, FXHOME, NewBlueFX, RE:Vision Effects, and more. Where did OFX come from and why? The OFX API was established because each developer had its own proprietary interface, so developers at different companies couldn’t work together share code very easily. Developers had to create their own method of porting their plug-ins into each host, which, as you can imagine, can be expensive and time-consuming. Bruno Nicoletti of The Foundry got things going in 2004. Some of the founding members were from Assimilate, Autodesk, Digieffects, FilmLight, The Foundry, GenArts, and RE:Vision Effects. OFX was transferred to The Open Effects Association (OFX) in 2009. If you’re a developer, join the Association and get access to early releases and help shape future versions of the standard. OpenFX members collaborate with their peers to the developer and extend the OFX API, a BSD open source license. If you use any of the hosts below, plug-ins that you use may support the OFX standard. Let me first stress the point that if a plug-in is OFX, it does NOT mean that it supports all the hosts listed below. It just means that the following hosts support the OFX standard. OFX is a standardized software interface for developing plug-ins that support multiple hosts. OFX is NOT a host or host platform. Below, a list of some of the plug-ins that already support the OFX standard. Undoubtedly, I expect this list to grow over the next year or two. Neat Video – Best Noise Reduction for Digital Video – Neat Video is a digital filter designed to reduce visible noise and grain found in footage from digital video cameras, DSLRs, TV-tuners and even digitized film or VHS. Neat Video is available as a plug-in for many popular video editing applications such as Adobe Premiere and Final Cut Pro. Here is a sampling of NewBlueFX Plugins. See the full roster here. RE:Vision Effects Effections Bundle for OFX. The effection bundle includes all of the products below, which are also sold individually. There is a list of OFX compatible plug-ins here. Again, just because it is OFX compatible doesn’t mean that all hosts are supported, just that the OFX standard is supported. There is another OpenFX and OFX for 3D, which is very confusing and completely unrelated. Although the other one is also open source, it’s an unrelated Windows API for 3D and modeling. 17 November 2014 – New OFX plug-ins from Tiffen. Last week, we updated with newer OFX plug-ins from Boris FX, Digital Film Tools, and FilmConvert.